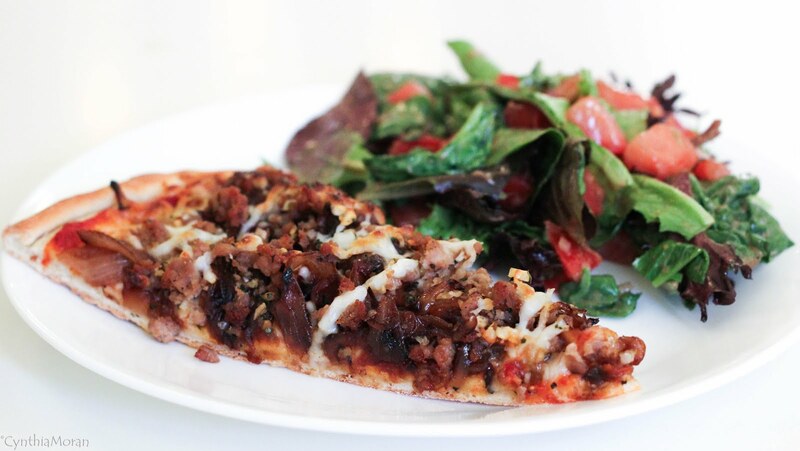 Dinner last night: Caramelized Onion and Turkey Sausage Pizza. You will not feel deprived with 2 slices of this amazingly delicious pizza! The caramelized onions were PERFECT with the turkey sausage. and is now on the top of my 'Make Again' list! 8 Weight Watchers Smart Points per slice. 17 Smart Points for 2 slices and a side salad.